Last March I shared about how I got started learning about GID and the beginning steps I was taking. You can find those posts here, here and here. In July 2016, I had the pleasure of attending the CISSL Institute with two amazing colleagues, kindergarten teacher Jessica Loffredo and 1st/2nd grade teacher Carole Sibiskie. During this school year, I have worked to add as much of our learning from the institute as possible. We understand that this is a process and it has been exciting to see the progress made! This post will be focusing on learning occurring mainly in the library. 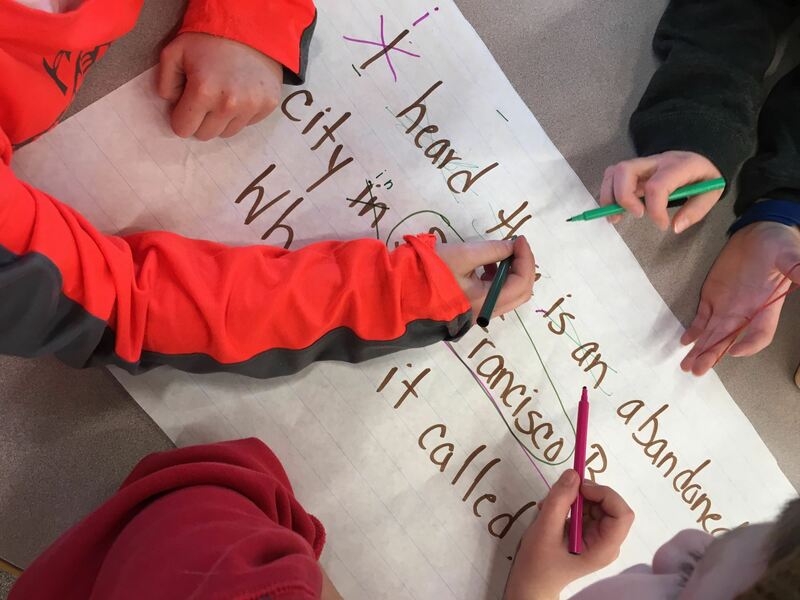 Our final post will be sharing about a collaborative Guided Inquiry unit involving science, art, technology and more! Attending CISSL was an experience I will never forget. We had participants from around the United States as well as Europe. We represented all different grade levels and subjects. Perhaps my biggest takeaway was an emphasis on reflection. While I had read the GID books, Dr. Maniotes brought GID to life! We did each part of the process together and throughout, every teaching strategy, every tool, every piece that was important to supporting learners, was demonstrated and reflected upon. We ended the three days with many chart papers full of best practices that we could bring back and use with our students. Just as emotions are an important consideration throughout the information search process, they were important to our learning as well. As we reflected on these practices, the CISSL team reminded us over and over about how important reflection is for the students too as they go through each step. For this school year, I set 3 goals for myself. First, I wanted to focus on trying out different ways to Open. Second, I wanted to take all my students, whether I was collaborating with a teacher or not, through Open, Immerse, Explore, Identify and Gather. Third, I wanted to begin collaborating more with teachers. Goal 1: My students and I had a lot of fun and learned about some really interestingresources that support the Open step. 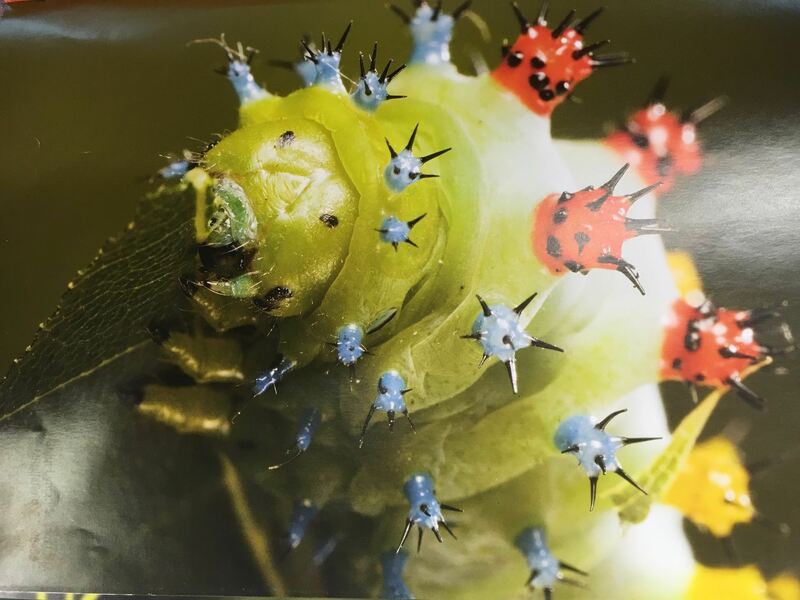 For example, the incredible photographer Nic Bishop provides many amazing images to get kids thinking. These 2 pictures from Nic Bishop were my favorites. I also used Wonders from Wonderopolis.com and other video clips. Photos from Nic Bishop’s books. the Guided Inquiry Design Process, even the preschoolers! The preschool class did this in a very basic way. 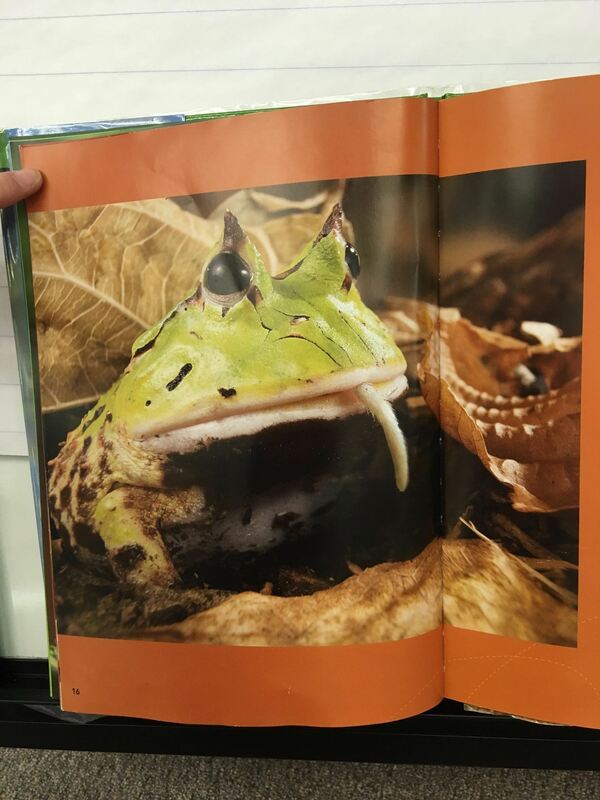 We read a story about a spring peeper and then listened to its call. We then read a nonfiction book about spring. 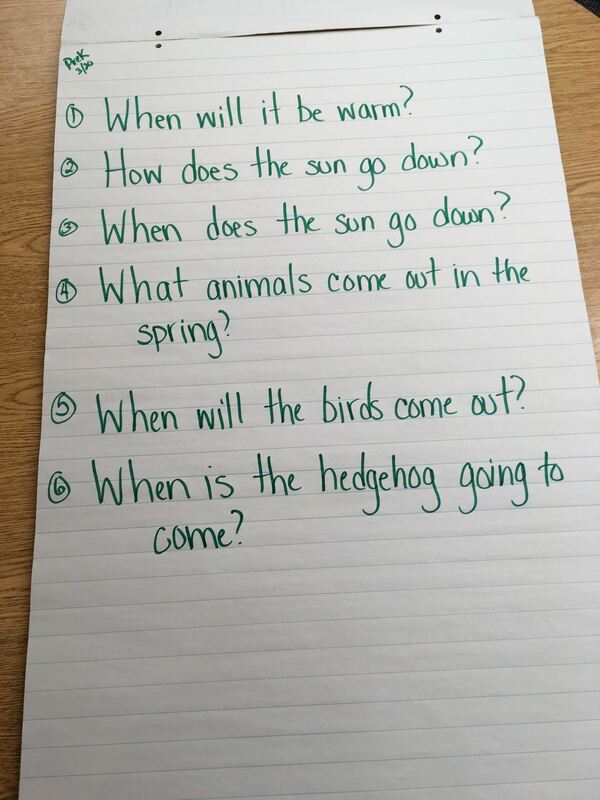 They had lots of questions and sometimes I think they were mixing Groundhog Day with spring. But we went back to their questions and using either print books or PebbleGo, we answered them the best that we could. 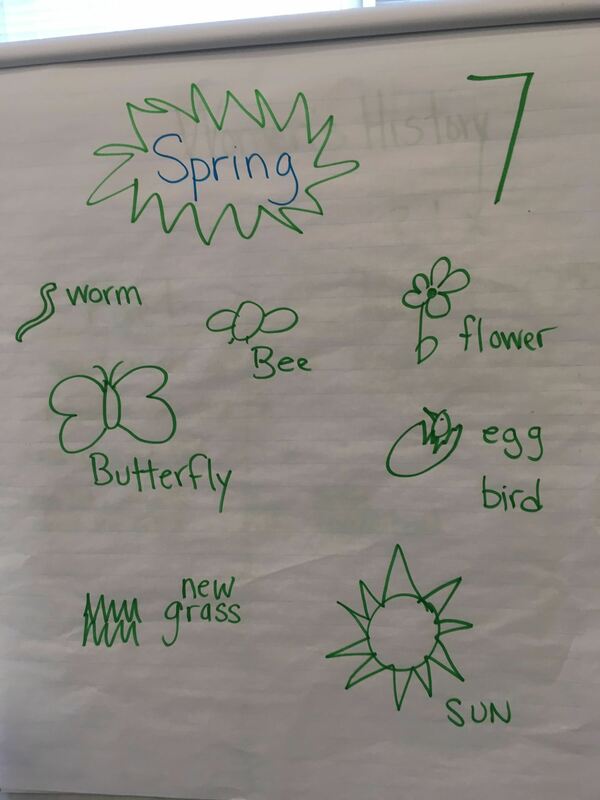 Preschoolers recording what they know about spring. The Kindergarten classes learn about their community and world all year long. I framed a question for them about people who changed the world and then read a book about Gertrude Ederle, a fantastic swimmer who beat many men’s records, even swimming across the English Channel. I was even able to find a video about her! They were amazed! As we explored other people, I kept bringing back the question to our focus about how they had changed the world. This is not easy for Kindergarteners. They chose a person who they were interested in and I worked with them in small groups to record one fact that they had learned. Each student drew a picture of their learning and I helped them write their fact down. They have all learned about someone new! 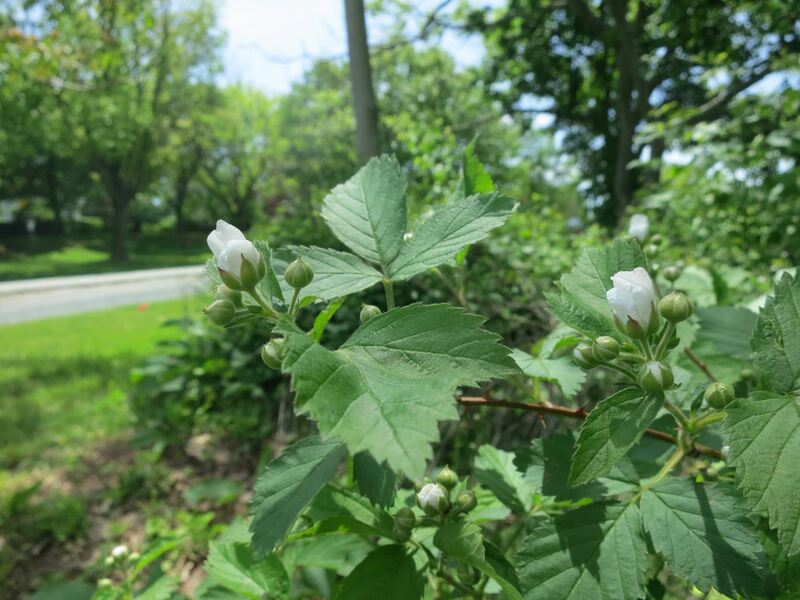 First and second graders had been studying trees throughout the school year. They had already developed a lot of background knowledge. I had a thought that perhaps they might like to explore really famous trees from around the world. 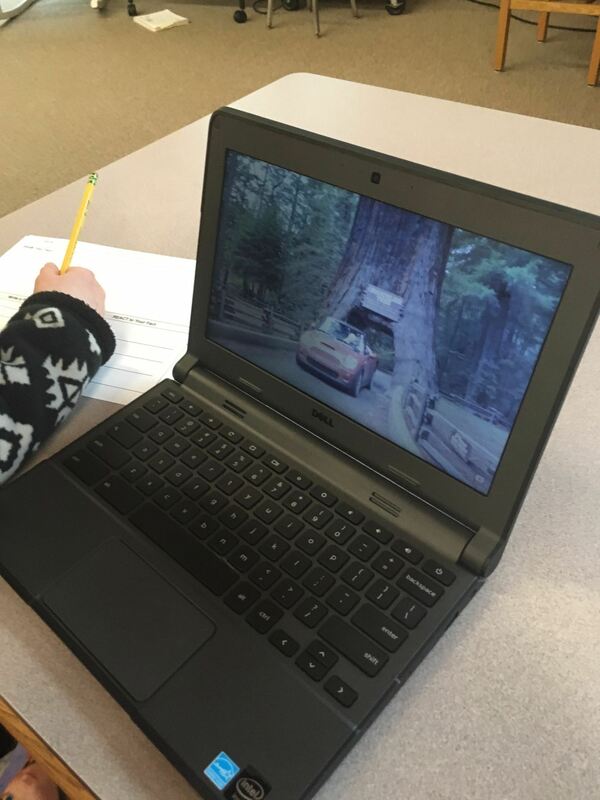 For my open, I found a Wonderopolis wonder about sequoias and redwoods – one with a car driving through the tree! 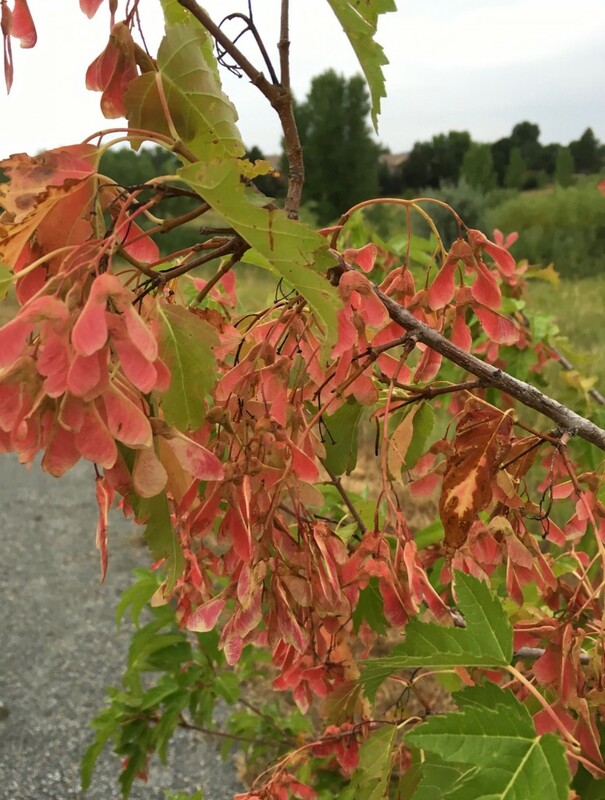 They were amazed and had tons of questions about these special trees. Paying attention to their voices was important, so that is the direction we went in. Using Symbaloo to curate resources about sequoias and redwoods made Explore fun. These students jotted down ideas that they noticed in the videos and we developed questions together as a class. We took two library classes to Gather information, sometimes in small groups, sometimes independently. I was also able to have these students look back on what they had learned and select the one or two most important items. We are currently working in small groups to Create poems and hopefully will add movements to help express the words as we share them. Goal 3: My goal was to collaborate more with the classroom teachers and I began to do this with the third and fourth grade classes. Each classes was beginning independent project work, so while there wasn’t a group Open or Immerse, I was, for the first time, able to find times in my schedule for the classes to come down to the library and Explore possible topic ideas using both print and digital resources. The classroom teachers loved being able to work together to help find resources and talk things over with each student. 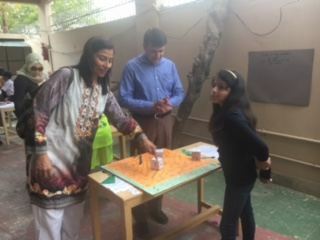 I was also able to talk with the teachers about the importance of Exploring BEFORE the students developed their questions. Oftentimes I had seen the questions being written first. This was a huge success! I believe the students were able to go deeper than in the past. Throughout their independent project work, I taught information literacy skills based on observations I was making. Many students were having difficulty searching for information, so we took time to learn about good search terms. We began to use evaluation tools that helped students know whether their resources were credible or not. While these lessons were done in library class, I shared them with the classroom teachers so that we were all using the same vocabulary. We emphasized using more than one resource so that if information didn’t make sense, students had a way to double check. Next steps: I think I made progress this year in all of these areas. I am looking forward to next year and being able to work with even more teachers. I am also looking forward to having students be more reflective at various stages of the process. Finally, all three members of our GID team are also on our district’s NGSS Elementary Leadership team. As we began to learn about NGSS, we all looked at each other because so much lines up with GID. In NGSS, Open = Phenomena. We are excited to use GID as we begin to implement new science units. Another place where I noticed a lot of similarities was in A.J. 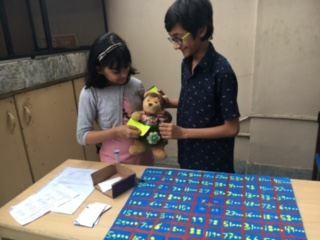 Juliani and John Spencer’s LAUNCH: Using Design Thinking to Boost Creativity and Bring Out the Maker in Every Student. Take a look when you have time! This journey has been such a challenging and rewarding one! I am so grateful for the opportunity to work with such amazing people! Oh no…the reflection was yet to come…the most important part.But first enjoy some pictures from Math Evening. Did anyone notice Daisy the Traveling Teddy Bear in the pictures? The students now understand that learning the context is secondary, learning how to learn best is the most important aspect. 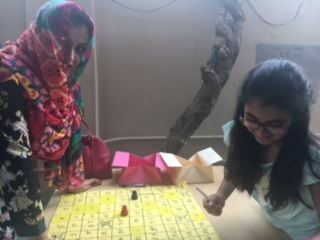 So once the Math Evening was over, they thought about what went well and why, plus what did not go well and why not. They discussed what they could do to make this event better next year. I loved listening in to these passionate conversations, especially the part where they discussed the impact of this school-wide process and the learning that happened not just with the students but the parents as well. I conclude that this was an amazing learning experience for me, since it greatly helped me to assess and reflect on my teaching practices. Throughout this process, the students were thoroughly and actively engaged in their learning. My biggest take-away has been that when we let go of the controls, awesome things happen. So yes…Learn to let go! Last but not the least, a huge thanks to Leslie and all the GID peeps for giving me the opportunity to share my thoughts on this blog. As mentioned in my previous post, DPMS has transformed learning in all of our content area classes through GID by providing students with an engaging, 21st century, research-based learning model. While we are by no means experts on GID, we have spent extensive time this year learning more about the model, rewriting old content area units, and testing out new techniques and technologies. In this post, I will share with you some tips that we have learned along the way from our own successes and mistakes. First, we always begin our unit planning by outlining every step of the process using a template provided to us at the Rutgers institute. Outlining each step and the essential learning goals prior to beginning a unit is essential for success. The planning process is a team effort consisting of me, Literacy Coach, Peggy Rohan, the content area teacher(s), and other extended team members such as our Technology Training Specialist and administrators. It is important for us to identify not only the essential questions and learning goals, but also the necessary resources and documents that are needed during a unit to ensure that each team member clearly understands his or her role and the learning activities during each stage. To aid in visualizing our planning process, view our plan for an upcoming eighth-grade social studies slavery unit. Teaching with GID has been a shift for the teachers, and Peggy and I continue to work with them on letting go of the idea that mastering facts and focusing on content is essential to learning in the 21st century. We continue to reassure teachers that what students really need is exposure to the topic and just enough background information to get them thinking about a research topic of interest; students will continue to learn from one another as they share their research at the end of the process. Moving from a “fact-based” curriculum to one that immerses students in inquiry learning doesn’t happen overnight, and through GID we are working to change the culture of learning so that students become critical, analytical consumers of information and effective problem solvers. Exposing students to content information during the Immerse phase is easy when you consider the many different modern technologies and websites that we have available at our fingertips. When unit planning, I always consider the various tech tools available, and I try to weave in as many real-world experiences as possible. For example, while planning our Africa unit I learned about this awesome new website called Belouga. Belouga provides a platform for connecting students asynchronously with other classrooms from around the world after students answer a series of profile questions on culture, history, cuisine, school, environment, family, and interests. Once teachers request a classroom connection, and once students answer at least 25 profile questions, students are matched with a partner from the connected school, and they have access to their partner’s answers of the same profile questions. Reading profile responses from students in Kenya and Ghana was an eye-opening experience for our students as they were able to read first-person accounts of life on an entirely different and diverse continent. 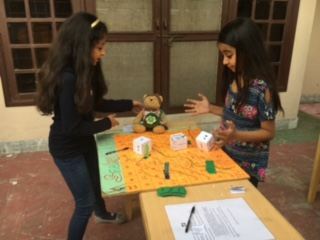 These connections also provided opportunities for rich classroom discussions and ignited student interest in further investigating issues presented by the African students. Virtual reality is another great way to immerse students in real-world learning. 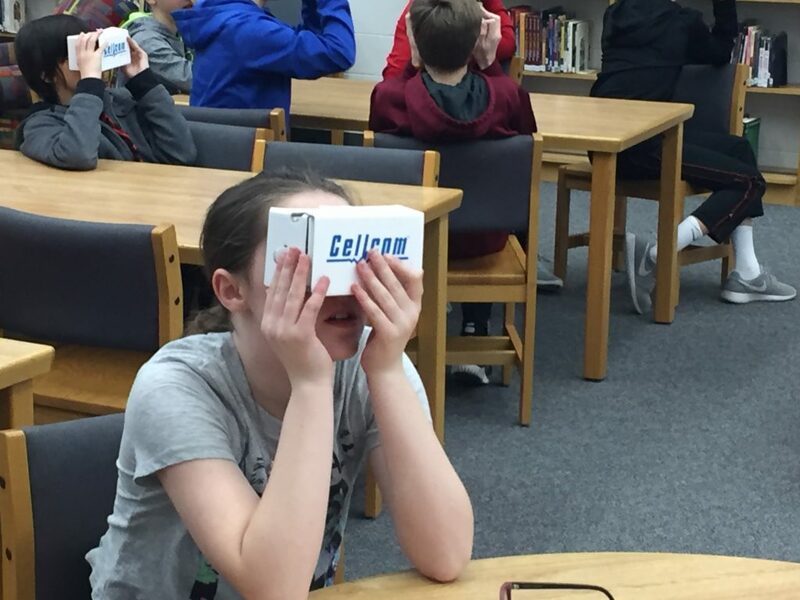 During our Ancient China unit, students took a trip to the Great Wall of China through Google Expeditions. Google Expeditions offers thousands of free, narrated VR tours. In addition, Nearpod is another great source for finding pre-made VR lessons. Even without VR headsets, students still can be immersed in meaningful VR experiences by simply viewing tours on their smartphones or on iPads. Another important pedagogical shift that we have made involves effectively teaching students how to ask meaningful inquiry questions. In the traditional research model, teachers assign a topic and send students off to try and find basic, often regurgitated facts that answer questions assigned by the teacher (think traditional “country report” where the student spits back facts such as the population, government, sports, etc.). In the GID model, students are responsible for coming up with their own research questions based on a topic of interest. We continue to work with our teachers on the best way to teach student questioning and push them to let go of assigning “criteria” that all students must answer in their final products. In teaching questioning, we have found the QFT model to be a successful way to get students thinking about the difference between open and closed questions. We encourage students to focus on writing “how” or “why” questions to ensure that they are asking only open questions. Once students have brainstormed their questions, it is essential for teachers to confer with students to help them modify and narrow their questions if necessary. Questioning is likely to be a very new skill for students, and many of them will need help with writing a question that is not too broad or too narrow. One final tip: don’t rush the Identify stage. Students need good research questions in order to effectively navigate the process and create a product that leads to new and transformative learning. When we design our units, we estimate that on average we need at least three full class periods to complete the Identify phase with fidelity. Finally, I want to mention some thoughts about the Gather stage. This is also a stage that must not be rushed. As was often the case in the previously mentioned phases, Peggy and I had to work with teachers to ensure that students were learning the necessary- and correct- research skills that they needed to effectively navigate the research process. Many teachers have the misconception that students already “know” how to research when in reality they have never received instruction on skills such as searching in library databases, choosing effective keywords, ethically using others’ images and music, citing sources properly, or evaluating websites. I will specifically build these lessons into our GID units and either directly teach the lessons myself or provide screencast review tutorials for students. In many cases, the teachers themselves are not aware of 21st-century research tools and techniques, and during our GID trainings, I highlighted the importance of relying on the Library Media Specialist for support and student instruction especially during this phase. Ultimately what matters at the end of the process is that students are positively impacted by learning through GID. What did our students think of the process after completing a GID unit? I was curious, and at the end of our Africa unit, I conducted a few student interviews to find out. Please view the video below to hear a variety of student perspectives. Please note that the students in the video represent a range of learning abilities from the low to the high end of the spectrum. While we have worked hard this year to restructure our learning culture, we realize that we still have a lot to learn. We continue to research, read, and review what we are doing as we learn more about how GID can transform student learning. 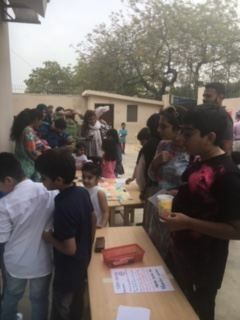 While our American friends are celebrating Thanksgiving and taking a holiday for two days, ‘Down Under’ we are very busy completing the last few weeks of our school year and looking forward to our six week summer holiday! This morning I have been working with two of our four Year 7 classes on their GID unit of work ‘Ancient World depth study: China‘ and helping them finish off their reports before selecting a way to share their work – so far we have a selection of web pages, poems, songs and there will no doubt be a prezi or two! 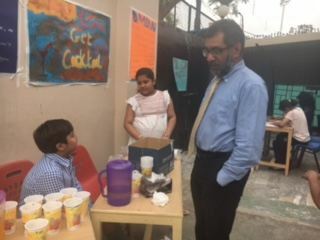 But I digress – In my last blog post about the Year 5 Global Connections unit of work we arrived at the vital stage of ‘Evaluate‘. This unit of work became extremely large and our time was very limited. We did, however, take the time to evaluate! This is very important so that a second cycle with another class can build upon what took place this time and improve on what was already so exciting! The teaching team had already discussed quite a few aspects during the process. One idea was to give certain students, with special learning needs, tasks that would allow them to absorb more knowledge without having to write as much. One boy we decided, who loves using cameras, should have been given the video management role so that as he edited he would have learned a lot more than through doing his own research! Students could also have worked in groups, with a leader allocating tasks, so that some students could work on the logo, another on the script in partnership with those working on goals and motto etc. 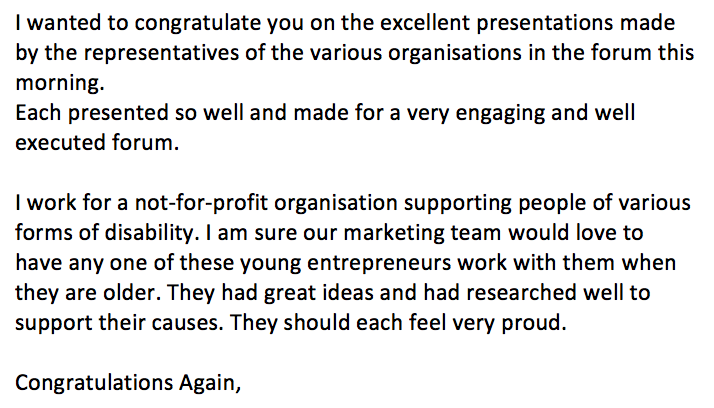 This would have saved a lot of time but we were also aware of just how proud each student was of their individual achievement that they could then share with the others. Some of these activities, though, were also used to achieve outcomes in other subject areas such as Art. We decided to evaluate the students and the teaching team but we also received unexpected comments from parents. 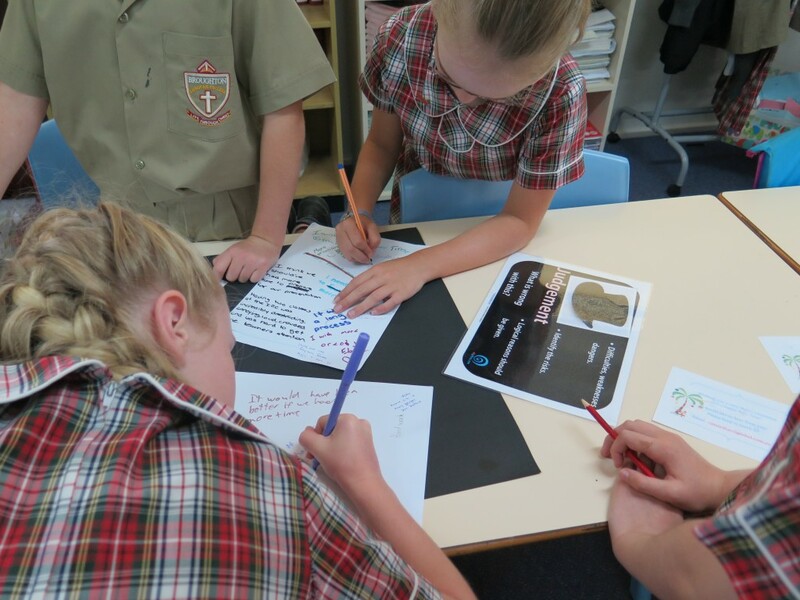 Catherine decided on a wonderful way to ask the students to reflect on their learning. After telling them all about de Bono’s thinking hats she had them work their way around the room in groups to tables that held coloured pieces of cardboard. They all wrote comments on these and the teaching team, including a special needs teacher, circulated to assist in some of the ‘harder zones’. 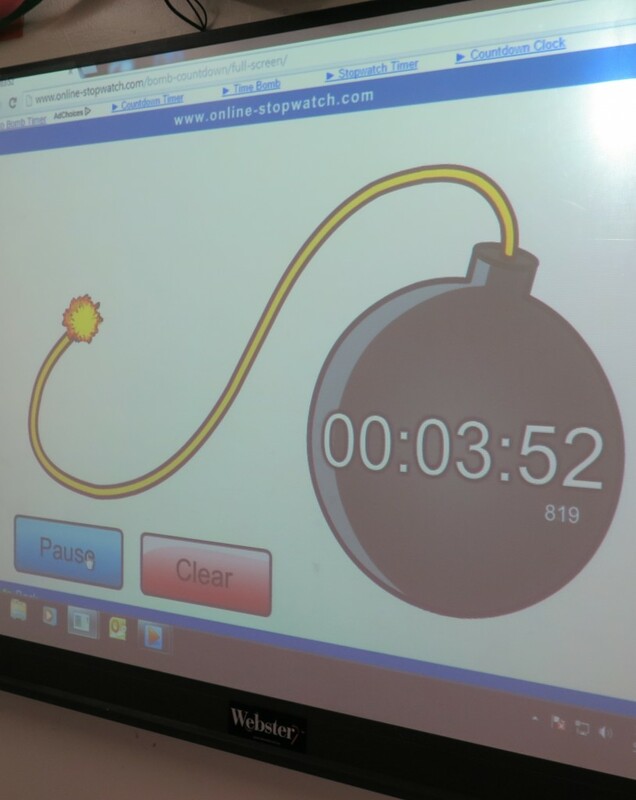 A timer ‘bomb’ App on the white board kept the students focused to achieve a comment in the limited time before the massive explosion! I collected the cardboard and notated the comments so that we could discuss this together later. 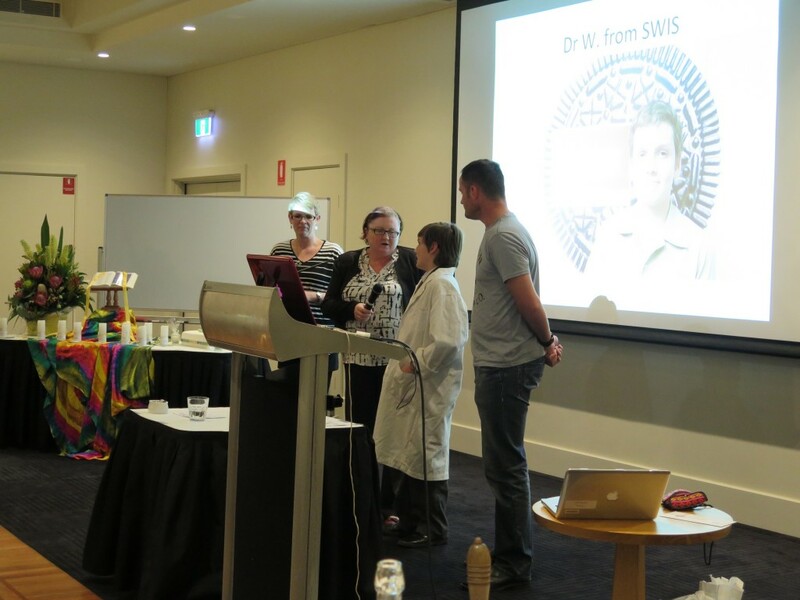 I was invited to speak at the NSW annual conference of the Teacher Librarian Professional Learning Community. 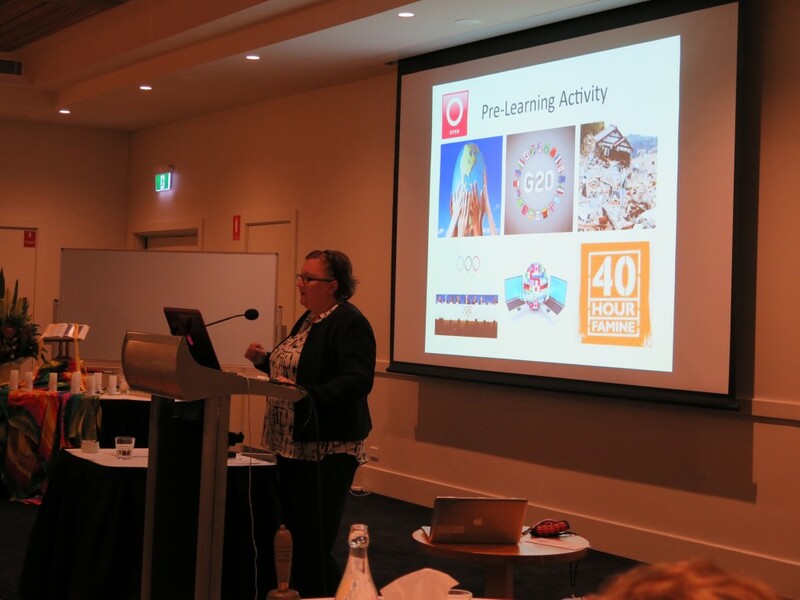 The topic I spoke on was TL – changing pedagogy to increase student engagement and learning. I decided to invite along Catherine and also one of the students with his parents. I gave them half the time and we all spoke about our learning experience on this unit. 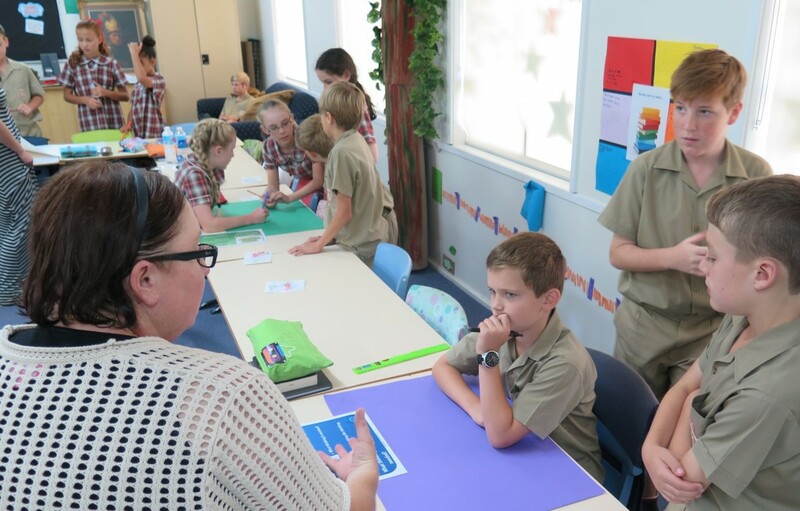 Needless to say, a number of teacher librarians became convinced that Guided Inquiry Design, collaboratively taught and with the assistance of the teacher librarian certainly engages students but also increases their learning across many areas. This GID unit of work really was a wonderful learning experience for us all! Stay tuned for my final general GID wrap up reflections later in the week. Yesterday I wrote about the role of relaxation in learning. Educators across the globe are working to help our students to embody Carol Dweck’s growth mindset. Educators are also talking and thinking about mindfulness in education. Well, in Guided Inquiry these two things are occurring in practice while students are learning. Daniel Kahneman (2011) in his book Thinking Fast and Thinking Slow talks about two different kinds of thinking. When we engage students in an extended study, such as inquiry, where we are seeking longer term learning and deeper learning, we strive for the learning of System 2. In Guided Inquiry Design, we recognize the importance of slowing down the thinking especially in the Explore and Identify phases. In our book, we describe the strategy of “Read, Relax, and Reflect” on (page 79) and highlight the action of “Pause and Ponder” in Identify phase (page 95), but there’s even more than that! 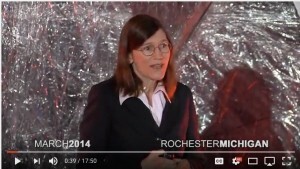 Barbara Oakley in her TED talk spoke of the Pomodoro Technique that provides frequent brain breaks between concentrated work times. 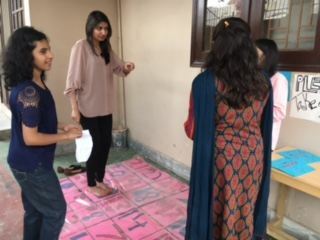 These brain breaks help learners to practice the ability to have focused attention and can enhance mental agility going from focused to relaxed. As a classroom strategy, from a teacher effectiveness perspective, it seems like not only a technique that would enhance the overall tenor in the classroom, but also teach students an internal lesson about how breaks help their mental processing! I also find it interesting that the Pomodoro Technique is being sold as a way to have a better “work life balance”. This is a 21st Century skill as work is changing because we are always “on” with the use of technology. So, mental breaks are worth implementing in a deep learning environment where students are working on ideas over an extended period of time. Focused attention mixed with short breaks facilitates deeper learning and connection. It also might make us happier. Barbara continues to compare learners to race car drivers or hikers when she describes slow thinking. When we hike, we look around. In a car, we zoom by and can’t capture the details. I love this analogy because I love to hike and I love the natural beauty of our world so I often take photos of nature. Here’s a photo I took while in a car. 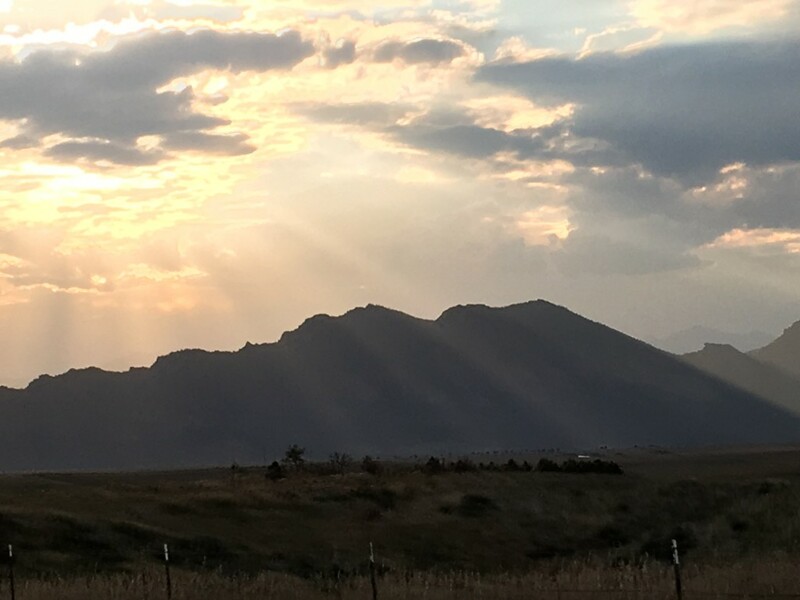 Beautiful shot of the Flatirons, right? 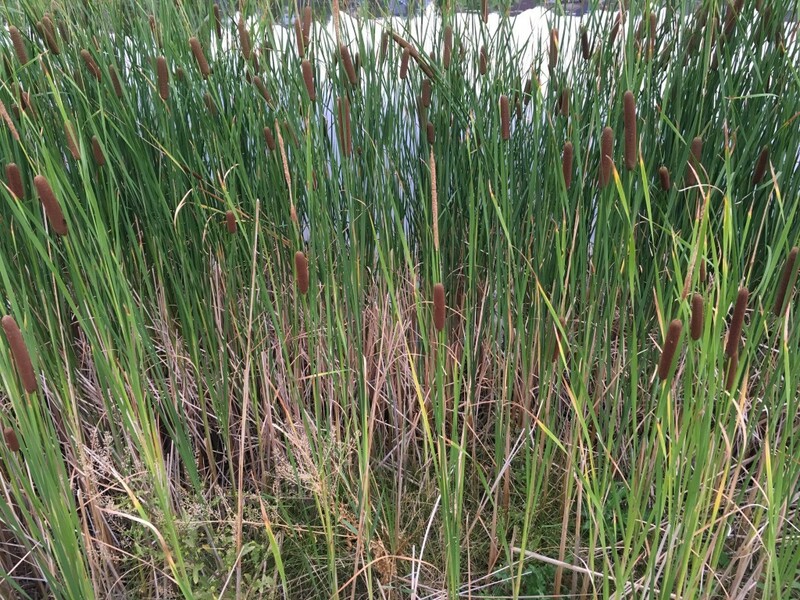 And here are two photos I took while hiking. Notice the difference in detail that I could capture. My experience hiking was deeper and more sensory and perhaps even profound! Let’s relate this slow thinking of a hiker to inquiry-based learning. Looking at a page and looking away to see what you can recall is a strategy Barbara describes as an effective technique that “builds profound neural hooks that help to increase your understanding of the material”. This is exactly what we describe the simple strategy of “Recall, Summarize, Paraphrase, and Extend” (p. 85) to reflect in Inquiry Journals in the Explore phase. Physically looking away from the text or experience and having to recall is a mental skill worth developing. We also describe the “Stop and Jot” while reading in Explore. Looking away from the text and jotting some ideas that you recall has a deeper effect than the typical highlighting of the page and leaving the highlights there. The highlighter creates that false confidence in learning. As teachers highlighting is an easy evidence based assessment of what students read and thought was important. And we can do it at a glance. But the journal response of their recall would be a better indicator of knowledge development. Learning how to learn in inquiry requires us to facilitate that learning by helping our students slow way down. The strategies seem simple, and they are, but the challenge for us is making the time to implement them in our daily practice in the tempo of schools that seems to be racing along like a race car round the track. Be a hiker. SLOW down and enjoy the experience and learning that results. Well, all US educators know… October is that CRAZY month where you get rolling in the school year and everything is so busy. The whole month is an orange blur of meetings, and parent conferences, and planning, and more meetings and functions. Exhausting! Well, it shows because everyone, including me has been waaay too busy to write for our wonderful blog. It’s OK because I think everyone has been way too busy to read anything but their planner anyway! Educators work so darn hard!! I’m just coming up for air, myself, from launching our website, WOOHOO! Have you seen it? guidedinquirydesign.com I’ve also been doing some PD around the country, leading our sixth, (yeah, you read that right SIXTH) GID Institute in Norman, Oklahoma. I’ve also been to Alexandria, Virginia working with some dedicated librarians there. Then back in Colorado, I have been designing an awesome webinar that I’m presenting tomorrow. (Who’s joining me?) Oh, and I’ve been completing the final edits and getting the Guided Inquiry Design in Action: High School ready for production so it WILL come out at the end of December 2016! Phew… And that’s the short list. So, lots of Action in our Guided Inquiry this month! I love presenting to new audiences, because I have to go through the inquiry process myself while researching for my presentation. It’s so energizing to create. I sometimes find resources that make me think of people with whom I have worked and send them a shout out on twitter or and email. I always find something interesting and new. This time I found a few things that are worthy of mention for more than just a few folks in shout out form. You all know that Guided Inquiry Design has a huge component of learning how to learn. As GID practitioners, we help our students to reflect not only on WHAT they are learning but HOW they learned it. Our basic thinking about learning how to learn through inquiry is really important to student learning, but when I found the Ted Talk by Barbara Oakley, a engineering professor at Oakland University on “Learning How to Learn”, I was intrigued and wanted to watch to expand my own thinking and make connections from her ideas to GID. After I watched. I was glad that I had. There are some really fun new ideas and some that are clearly linked to the components of GID. Here’s the Ted Talk so you can watch for yourself. First of all, Barbara about 8 minutes in makes the point that Dali and Edison two very creative people who had strategies that helped them when they got stuck in the creative process. Their strategy was similar. They both, when feeling stuck, stopped what they were doing, sat in a relaxing chair and did something relaxing with their hands – one played with keys (Dali) or the other with ball bearings (Edison) until they nearly fell asleep. So they each took time out of their creating to relax and reflect. Their strategy is a lot like what we talk about in GID – “read, relax, and reflect” or “pause and ponder”! What we are saying is that relaxation and creativity have a relationship, and in schools we can foster that relationship and help students to learn to relax as a strategy for persevering through a creative process, like inquiry just like Edison and Salvador Dali! How inspirational! Sometimes a simple thing can do a whole lot. How can you set up a relaxing environment where kids can take a thinking break in inquiry even during class. Makes me think of the flexible classroom seating that’s all the rage this year. In those flexible spaces in classrooms and libraries there would be a lot of different seating arrangements so kids could walk away from a project and purposely take a few minutes maybe 5-10 to just chill out and relax in a chair more conducive to relaxation rather than focused attention. Maybe headphones would help remove them from the room in a way that could facilitate their relaxation. You could do a whole class relaxation exercise as well. A visual thinking or brain break with some music that has no lyrics. But I think having students know when they need a break is important, so the flexible brain break like Dali and Edison would be good to implement. Implementing some relaxation within inquiry might really improve the creativity and show kids it’s ok to take a break sometimes. More connections on this TED Talk and learning how to learn tomorrow!